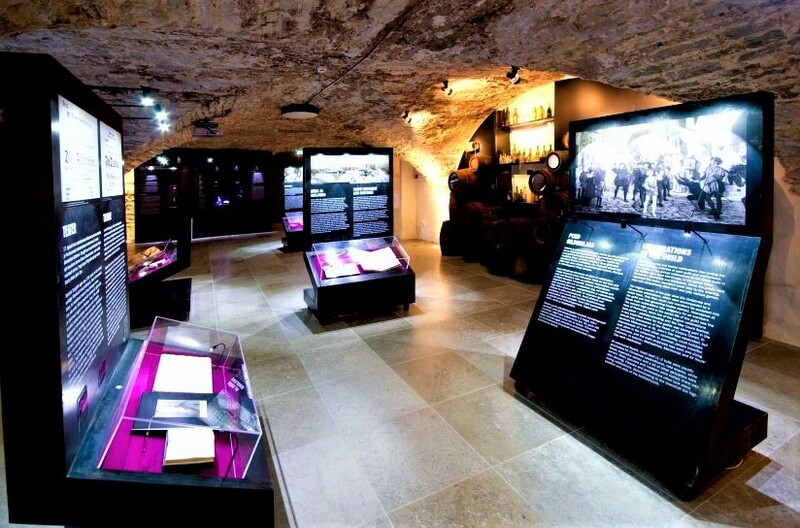 Tallinn has no shortage of historical attractions and history museums. …which takes us to the history museums. There are seven of them dotted around Tallinn city centre. …housed in the Great Guild Hall. This historic building has been around since 1410 when it was the second most influential organization in Tallinn (after the city government), serving as a trading hall for powerful merchants. Both the main hall and the cellars are large and impressive spaces. The exhibits describe both the history of the Hall and that of the nation, via artifacts and touchscreens. Unique aspect of this museum is that it arranges its exhibits in a way that makes sense thematically, rather than in chronological order. There are also a few good movies to watch that provide background information. All of the exhibits are described in English and the movies are subtitled. Another history museum located in a stunning age-old building is KIEK IN DE KÖK. There are several towers intact in the city wall of Tallinn but few offer everyday access like Kiek in de Kök. This museum is about wars. As you can imagine, it covers many breathtaking stories of battles, with plenty of military artefacts – nice historical weaponry and uniforms- to keep you entertained. It also gives a good look into the Estonian medieval history. The incredible strength of this former cannon tower is something you want to stare at and touch. And it still has medieval cannonballs embedded in the turret….from the Livonian War (16th century) when Ivan the Terrible wanted to conquer Tallinn and bombed Kiek in de Kök. Did he make it? The tower involves a lot of climbing, so anyone with limited mobility should skip it. Where: Komandandi street 2. When approaching from the Freedom Square, climb up the stairs next to the monument to the War of Independence. hidden BASTION PASSAGES that run under the edge of Toompea Hill. Constructed in the 17th and 18th centuries, the tunnels were designed to protect Toompea because the town wall could no longer withstand the development of military technology. Going through the passages is an eye-opener. From shelter to soldiers and supplies, WWII air-raid shelters to hideaway for punks, and a place to held the lessons on survival in case of a nuclear attack, there is so much history. To make sure you don’t disappear underground never to be seen again, you need to join one of their group tours. 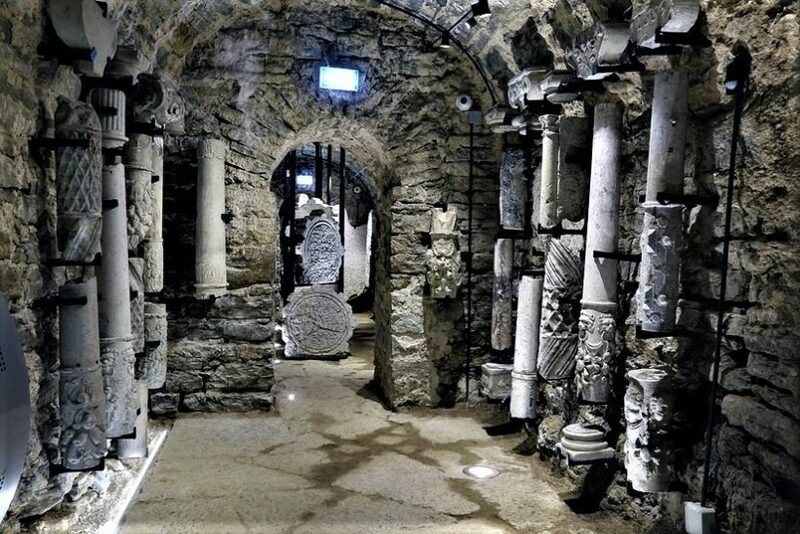 There is also a section housing the Carved Stone Museum, displaying the beauty cut in limestone – decorative and interesting fragments, including columns and family crests dating back to the 16th century. Good to know: the whole Bastion Passeges tour takes about 1 hour and 15 minutes. Remember to schedule the tour ahead of time. For booking, send an email to kok@linnamuuseum.ee or call +372 644 66 86. The tour does not end where it begins. 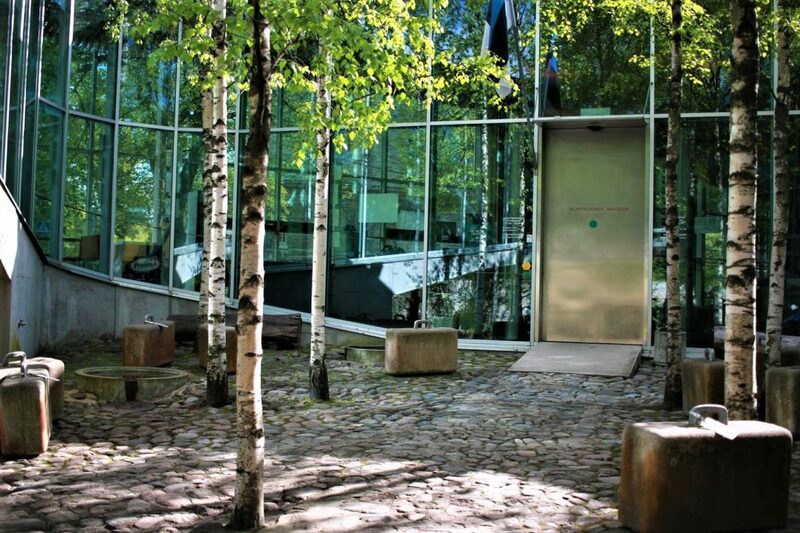 You’ll have a short walk back to the Kiek in de Kök tower to retrieve your belongings from the storage lockers. 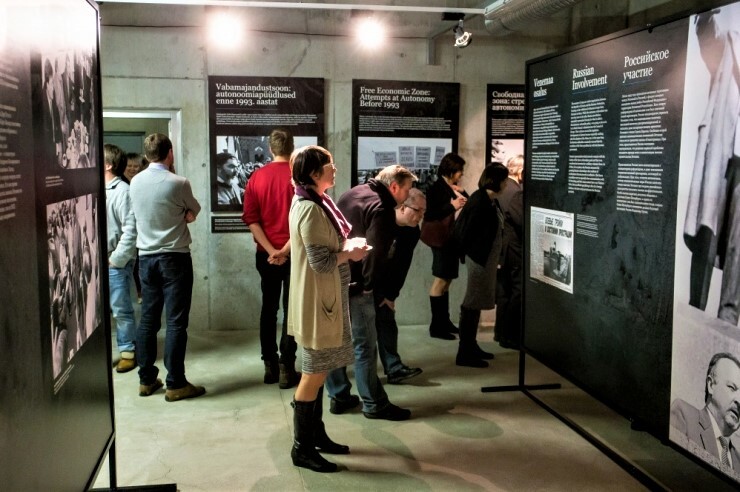 A must visit for people with a strong interest in Estonia´s recent history and crimes against humanity is VABAMU. As you might know, before becoming independent in the early nineties, Estonia went through a difficult century. Occupations by the Soviets, the Nazis and again the Soviets followed each other seamlessly. Vabamu museum gives you a taste of how it was to live in an occupied country. It gives a great deal of insight into what the people endured and why we treasure the independence so much now. It also gives the story of Estonians who lived across borders, in exile. A variety of exhibits, personal stories and presentations help to bring the subject to life. Everything is well-balanced, without feeling overwhelmed from too much information. You will be accompanied by a smart application, specially designed e-tour guide, allowing you to engage with the topics that interest you the most. It is available in seven languages and is free for all visitors. In the 70s and 80s, KGB officers were sitting in their office on the „non-existing“ 23rd floor at Viru Hotel and listened in to the conversations in the bedrooms and restaurants below. The mass monitoring by KGB was probably done in hotels all over the Eastern block controlled by USSR. 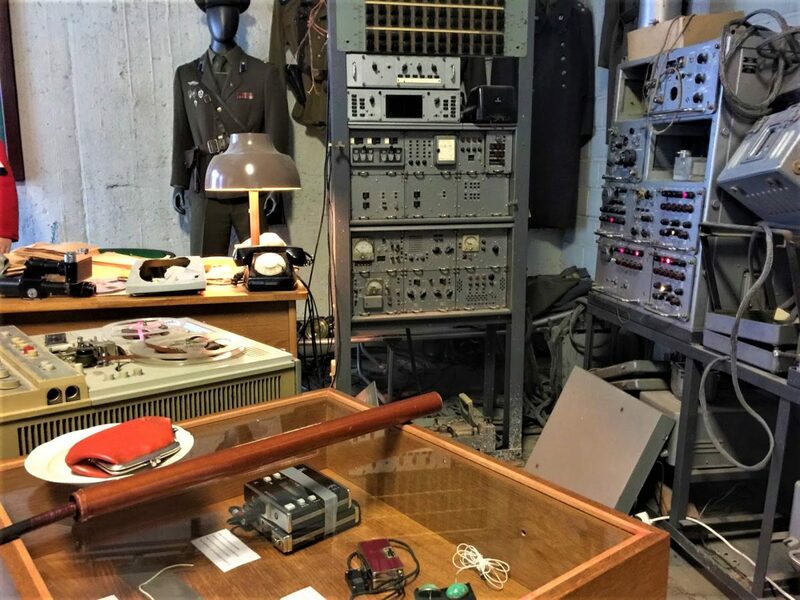 In Viru hotel, you can visit the two rooms which have remained basically untouched and see examples of bugging devices, uniforms and the like of the officers that worked there at the time. But rather, the stories told by the local guide are what brings the workings of KGB operatives to life. An added benefit is the great views over the old and new town from the top floor of Viru Hotel. Good to know: the visit is only possible with the museum guide. Book ahead as the tours get sold out quickly. You need to show your booking and exchange it for an entry ticket at the lobby of Viru Hotel. KGB PRISON CELLS located in the basement of the former KGB headquarters. In 1940s, suspected enemies of the state (intellectuals, veterans of the War of Independence, also ordinary people) were interrogated and tortured here, before they were either executed or sent to labor camps in Siberia. 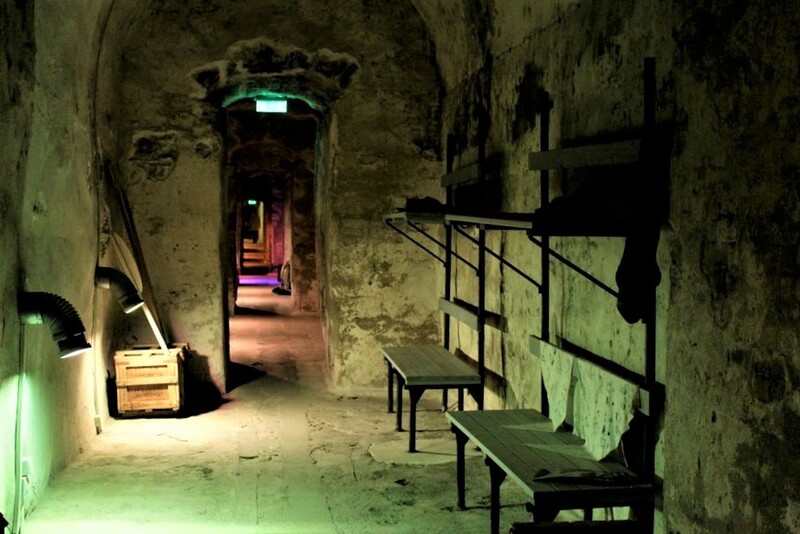 You can explore the basement comprising two corridors, six prison cells, and a punishment cell. 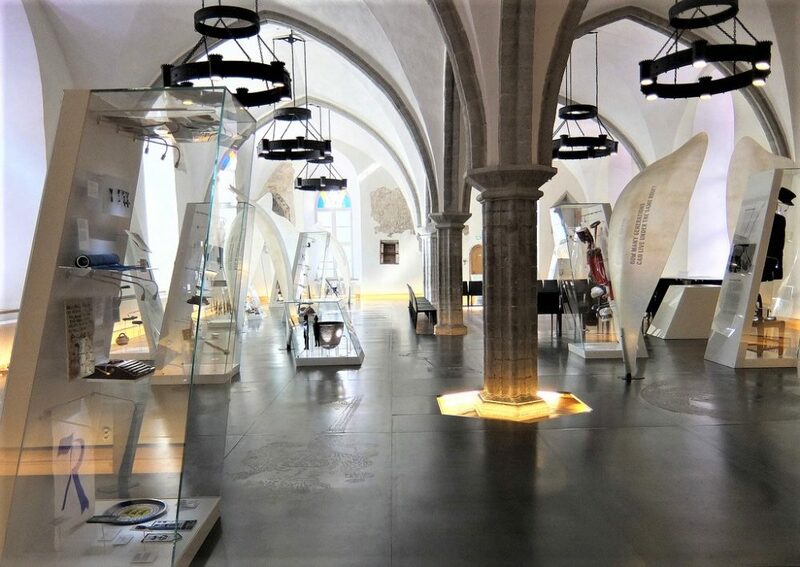 …is full of easy to understand exhibits and explanations and covers the history of Tallinn beginning with prehistory and ending with Estonia’s regaining of independence in 1991. The displays are spread over three floors. Authentic original items, medieval costumes, porcelain tableware, chronicle films and contemporary videos…Our favourite is the scale model of Tallin in 1825. 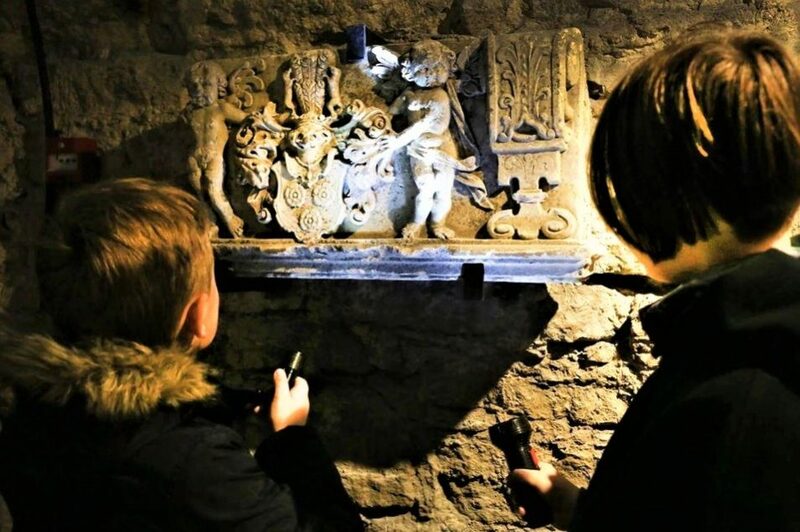 It’s not an interactive extravaganza, but there is another good reason for visiting – the museum is set in a 14th century merchant’s house. A beautiful medieval building with a huge fireplace and chimney.